Luckily they did, and Sunday morning I was back on skis. I was met in the Canyons Village by Joe Johnson, my tour guide and social media coordinator for the resort. We quickly loaded the chair and he started talking about the mountain and the day in front of us. Because the temperatures had been warm, the snow that had fallen was similar to what we are used to skiing in the Northwest. We had a blast! There was a definitive snow line on the mountain and for the majority of the day we were able to stay above it. 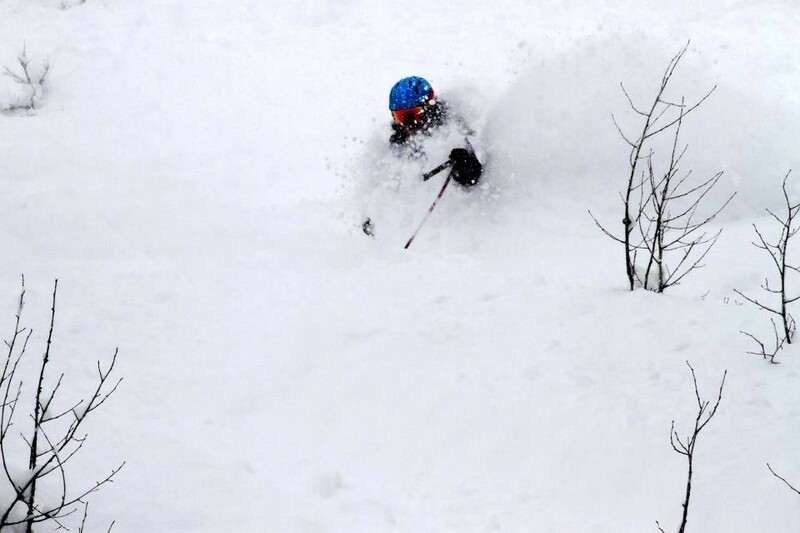 The next day brought in the epitome of Utah skiing — cold temperatures, blizzard-like conditions and about 14 inches of new snow overnight. It was a Monday in March during a bad snow year. No one was there. Most of the locals had decided to move on to their springtime hobbies. We lapped aspen groves repeatedly. The only tracks to cross were our own from the previous runs. The snow was coming down so hard that it was like someone was hitting the reset button between each descent. On the chairlift, I mentioned to Joe that Schweitzer, my home mountain, had just managed to achieve a base of 200 inches. His response, “We haven’t even received that many total inches of snowfall this season.” It was March 19th. But as you can see from the picture, which was taken that day, you would have never guessed it was a "bad snow year." The moral of the story? Don’t let the weather prediction for this winter sway your actions now. Buy your passes. Make your travel plans. Rent your lockers. Even in a bad snow year, there will be moments of greatness. Stay positive and prepare now for those unexpected, great days.